“We do our best work when we are happy. It is an emotion that makes things happen at work, at home, or on the playing field. Happiness brings clarity of mind, draws others to us, and boosts productivity. In the workplace it also reduces illness and turnover.” -- Katy Franco from her one-hour mind-body program called "Risoterapia" (Spanish for “laughter therapy”). 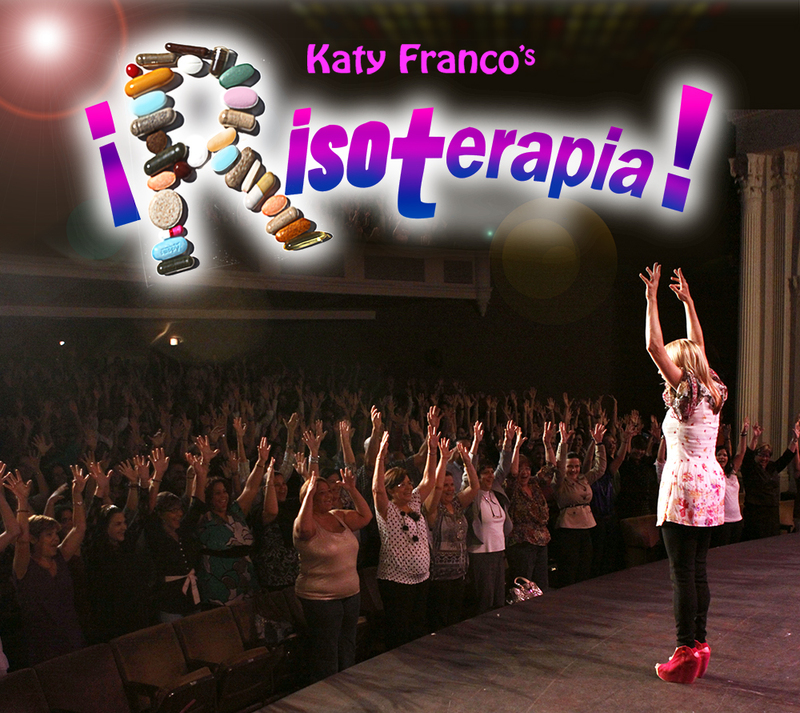 Weaving stand-up comedy, tales from her life, and laughter therapy exercises, Katy makes audiences laugh as they learn a variety of self-help tools to make them happy, healthy and more productive. This is a live performance that she does for people of all ages, in English and Spanish. The motivational address - Katy talks about turning obstacles into opportunities, speaking from the heart about her recovery from breast cancer. "Good Heart Laughing" - 7 easy steps to happiness. "The Laughter Diet" - 6 minute exercise routine for a healthier, stress-free body and a clear mind. Laughter exercises - techniques to provoke laughter without jokes or outside stimulation, for the purpose of relieving tension, increasing circulation and creating a positive, problem-solving mindset.